No fewer than 30 cataract patients are to benefit from a free cataract surgery provided by the Eyeland of Vision Foundation, in partnership with the Lift Above Poverty Organisation (LAPO). Newsmen reports that the four-day free cataract surgery which commenced in Benin on Monday was organised under the foundation’s free eye care health outreach. In his remarks, Programme Manager of the foundation, Dr Bright Azeta disclosed that the cataract surgery for 30 patients would be completely free, but the patients would pay for their drugs. He disclosed that the Foundation focused on cataract because it was responsible for about 50 per cent of blindness in man. Dr Azeta also said that patients discovered to have glaucoma and other eye-related problems would be advised on what to do, to avoid the problems degenerating to blindness. Similarly, the Executive Director of LAPO, Mrs Sabina Idowu-Osehobo said that according to the Nigeria National Blindness and Visual Impairment Survey conducted between 2005 and 2007, the prevalence of blindness increases with age. She noted that it was found that about 5.5 and 9.3 per cent of Nigerians whose ages were greater than or equal to 50 and 60 years respectively, were blind. Idowu-Osehobo, however, said that though there was no difference in the blindness situation between rural and urban locations, rural dwellers were more disadvantaged. The LAPO Executive Director attributed the situation to poor quality medical care, including eye care. 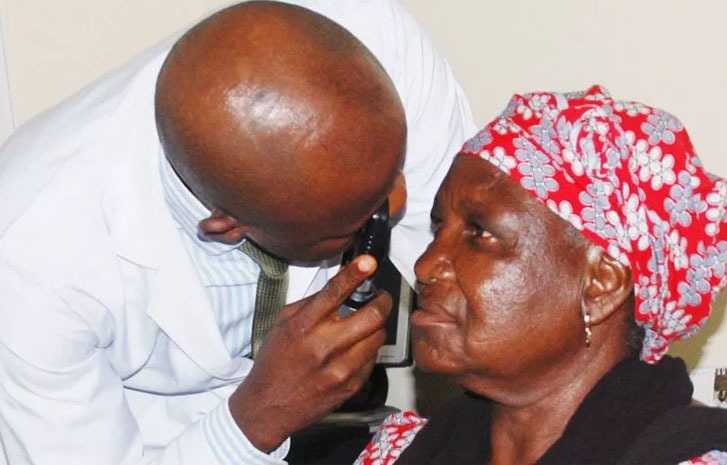 The situation is worsened by inadequate integration of eye care services into the primary health care system in Nigeria,” she said. Idowu-Osehobo added that the free eye care service was aimed at improving the quality of lives of beneficiaries. Some of the beneficiaries who spoke with newsmen said that they were unable to have the cataract surgery before now due to financial constraints. The Programme Manager said it costs between N150, 000 and N250, 000 for cataract surgery, depending on the facility.